The extension, allows you to automatically create drawings for standard profiles such as pipes, rods, angles etc. It applies only to standard profiles - it will not work with more complicated parts. For such parts, the command does not appear in the context menu. 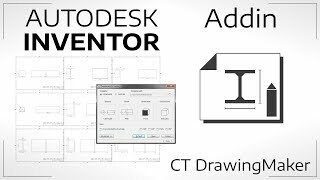 The drawing creation command is executed from the context menu. The configuration takes place in the settings form, which is available in the ribbon.